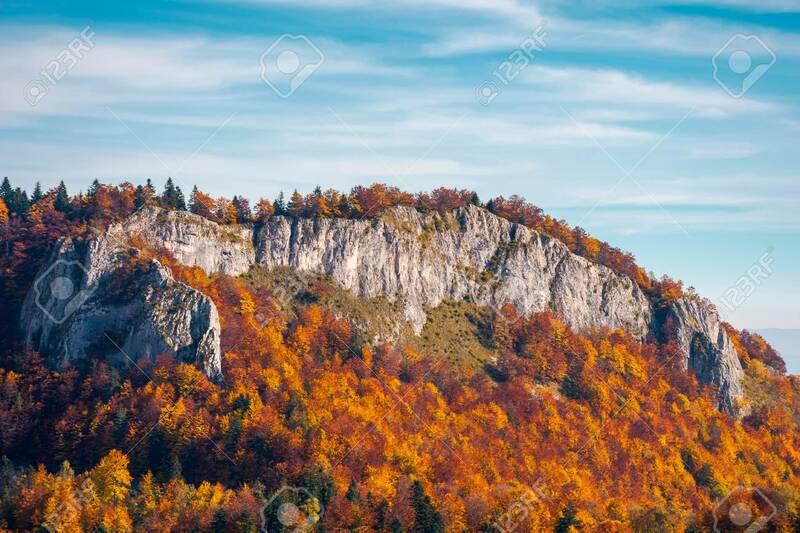 Steep Rocky Cliff Above The Forest In Reddish Foliage. Beautiful.. Stock Photo, Picture And Royalty Free Image. Image 107011972.